Mick and Marlene are committed to their life afloat. They burned their bridges and sold their house to fund the purchase of their liveaboard narrowboat Doublefracture. Wierd name, lovely boat! We are Mick and Marlene Masters. I am a retired civil servant and Marlene is a retired housewife(she may not agree with that). Originally we were from Yorkshire but lived in Cambridgeshire for 21yrs up to retirement. We have three children(two boys one girl). They are all grown up and left home with families of their own now. When the boys were younger we did a lot of camping, including backpacking along the Leeds and Liverpool canal. We lived near to the Aire and Calder. While visiting a nearby marina we were speaking to the owner who told us he had boated round most of the system. The seed was sewn. Then in 2005 we decided to buy a boat so we could do the same when we retired. Which we did in 2009. We named our boat Doublefracture. This name was chosen because in 2002 we both fractured two bones in a road accident. As you can imagine we explain this quite a lot. 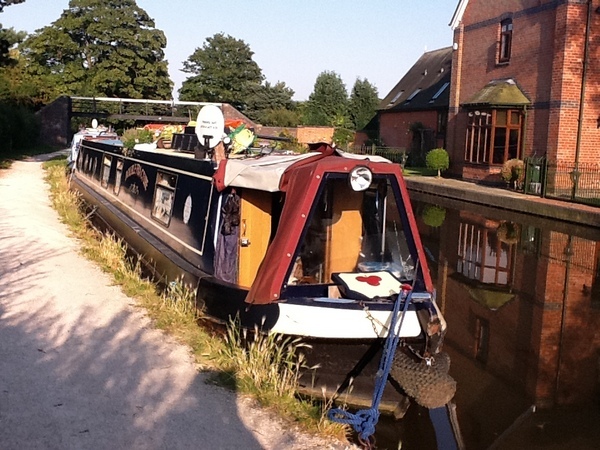 We have had a permanent mooring at Sawley Bridge Marina since last July. Prior to this we cruised all summer and over wintered at Barton Turns Marina. We decided to have a permanent mooring at Sawley because of the easy transport links to Derby and Nottingham, so on the dark winter nights we can go to the theatre and get home on the 24hr Skylink bus. The Marina has all the facilities we need and the staff are great. 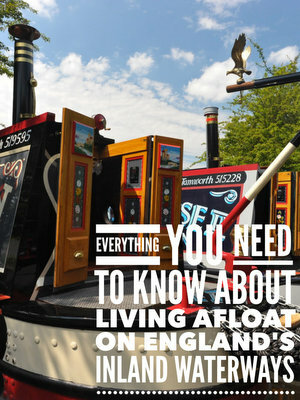 Our boat is a 57ft traditional style narrowboat. We have owned our boat since 2005. We made the full commitment and sold our house to finance the boat. The only time we are not on the boat is when we visit family or take a winter holiday. No as I said we are both retired. Marlene says she would put in a side hatch near the kitchen. We find quite a few supermarkets within walking distance of the canal. Failing this we use our bus passes on the local buses. We use a small camping twin tub and a rotary dryer. We have both a pump out and a chemical toilet, so the best of both worlds. We use our iPad with a Vodaphone 3G connection. It is ok most of the time but there are dead areas on the canal network. If we have to pick one, probably the Macclesfield and Peak Forest(I know that’s two but they seem to go together) or where we happen to be at the time. We have three domestic batteries which charge of the engine and go through a 1800 inverter. We also have two 60kw solar panels. Up to this year very warm,however these cold winds seem to have caused some drafts. For the first time we have used the central heating as well as the wood burner. Make sure you are both committed to the life. You can read about life on board Doublefracture here.